Fast, accurate, with in-built machine learning. EzzyBills is powered by the EzzyBills API. Everything that EzzyBills does is done via this API. EzzyBills supports two different API’s (SOAP and REST). 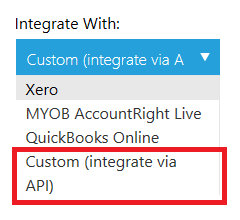 Register a free trial account and use the API sample codes to connect to this account to receive invoice data. Alternatively, You can start with signing up a free Xero account and connect this EzzyBills account to Xero and test EzzyBills in action! The API service calls are also documented here. You can request an API KEY from support@ezzydoc.com. You then need to add this key to you client application (usually the app.config file). For example, the following code uploads an invoice to EzzyBills and then returns the Invoice Total, Tax etc. 41:                                  //document was autoseperated. iterate to get all child docs. There are two ways to know when an invoices workflow is complete. You can poll the EzzyBills service or you can register a WebHook and be notified. To Register a WebHook, login to your EzzyBills account and in Advanced Options, add a URL to a web method (for example https://webhook.site ). After you save the Webhook, you will receive a Token. This Token will get get sent with every WebHook call (you can use this to validate the call). Once you have registered a WebHook, EzzyBills will call the Webhook every time the invoices workflow completes. parentid – if the original document was auto-separated then the parentid will contain the original docid. docid – the docid of the invoice. state – the state (26=success). token – the WebHook validation token. This means that the document 344131 has successfully completed, it does not have a parent (i.e. no auto-separation).So you can now call getInvoiceHeaderBlocks(344131) to retrieve the invoice data.